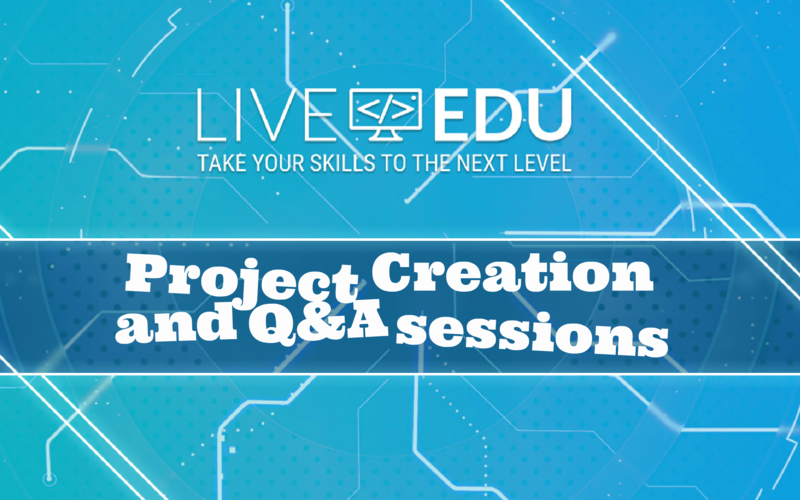 LiveEdu knows that Viewers will inevitably have questions for Project Creators. However, to avoid constant interruption of project creation, we are implementing Question and Answer (Q&A) sessions. Project Creators will have a Q&A session after each project stream. How will Q&A Sessions Work? A Q&A session will not be the same as a project creation session and will not be done as one continuous stream. They will be an entirely separate stream from the main project stream. Q&A will be a dedicated 15-minute session where Viewers will be able to ask as many questions as they like. So, if Viewers have any lingering questions from a previous live stream or video or if they are tuning in for the first time Project Creators can answer during the 15 minutes Q&A stream. Similarly, if at the end of a session a Viewer’s understanding is not clear or if there are new questions they can utilize the 15 minute Q&A after each stream. Having Q&As after streams and separate from the main project session ensures that projects are of the highest quality since Project Creators will not have to break concentration to provide answers. Additionally, Viewers will have a much better viewing experience without interruptions during a live stream or later when watching the recorded video.